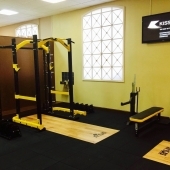 Atlas Fitness Gym, Milton Keynes, is owned by Kendrick Alexandros Hutchinson and is located in a building that has over a 30 year history of serving the public's fitness needs. 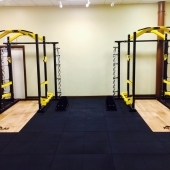 We were approached by Ken to kit out a 64 square metre vacant room so that the new powerlifting facility, "The Iron Dungeon," could be born. 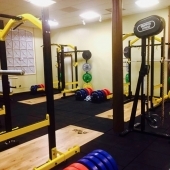 This room was to cater for the clients' strength and conditioning, powerlifting and functional training needs. 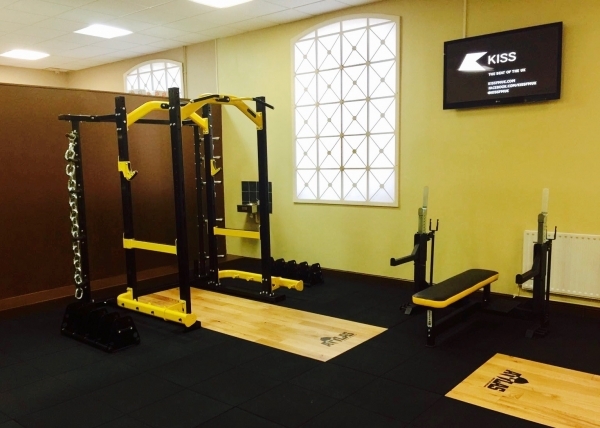 With over 95 gyms in the Milton Keynes area, our aim was to keep the design fresh and unique. 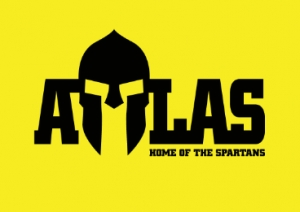 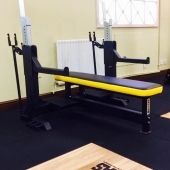 Together we selected a stunning, complete range of equipment to match the Atlas gym corporate branding in black and yellow. 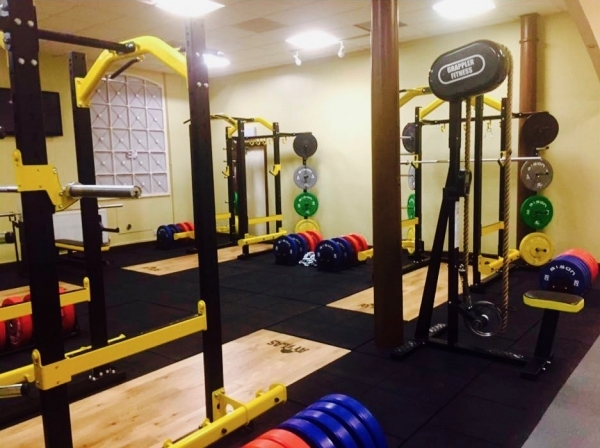 CYC supplied 30mm high impact rubber flooring, including safety ramped edges, and bespoke oak lifting platform inserts with the Atlas logo. 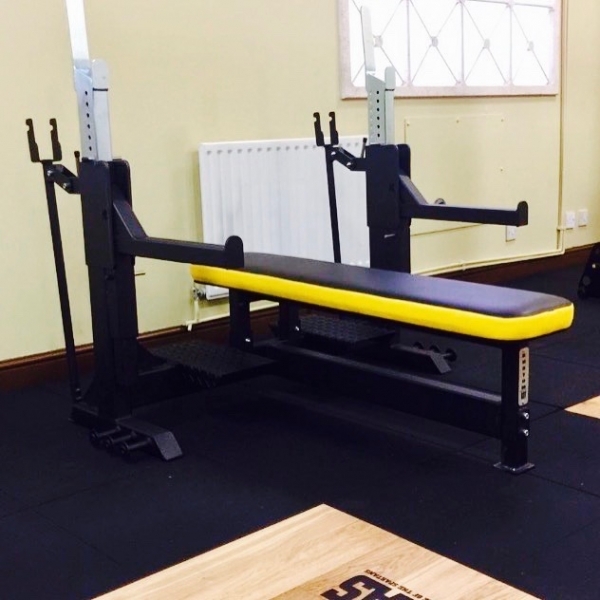 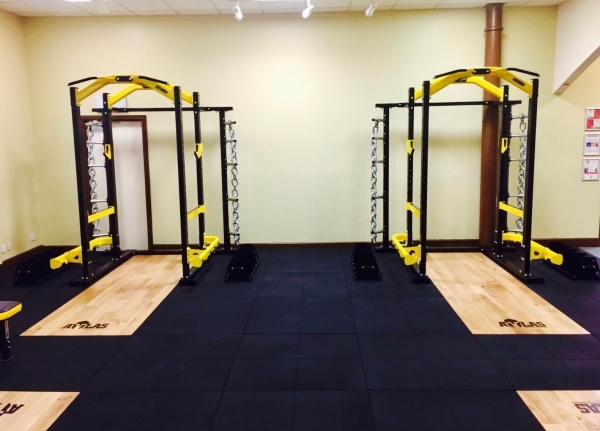 We installed 4 Elite UK manufactured Power Racks; fully modular systems to accommodate numerous strength and conditioning attachments and weight plate storage. 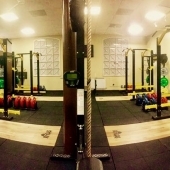 The infamous Grappler rope machine also took up residence in The Iron Dungeon, along with a competition lifting bench made to IWF specification, Bison Olympic bumper plates, Bison technique plates and IWF specification Bison Olympic bars.